​place in 2016. 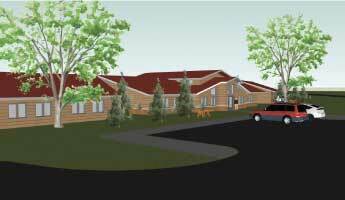 The retreat center is named after Bethel Lutheran Church, whose members provided over $200,000 for the project. While closing the doors of their church,their generous gift was given as a symbol of the parishioners’ desire to open new doors representing Bethel’s long-time ministry. Individuals and families are invited to name other spaces in memory or honor of loved ones or faith mentors. Why should you help Luther Park in it's efforts? Click here. We want to help you make the most of your gifts! If you would like additional information about giving to Luther Park, please contact Joel Legred by phone at 612-987-6628, or email: jlegred@lutherpark.com.